Less Than Reality: Kevin and Danielle Jonas: That's Not 'Jo' Baby! There's no doubt that Kevin and Danielle Jonas have a baby. The question is more about whether Danielle actually had the baby. Unfortunately, evidence is leaning towards no. From cryptic birth announcements stating that a baby was due in 'early 2014' to the fact that Danielle didn't gain a pound anywhere but her belly, and Danielle's post-birth photo with eyeshadow and diamond earrings, some of us are having a hard time believing that she actually gave birth to a baby. 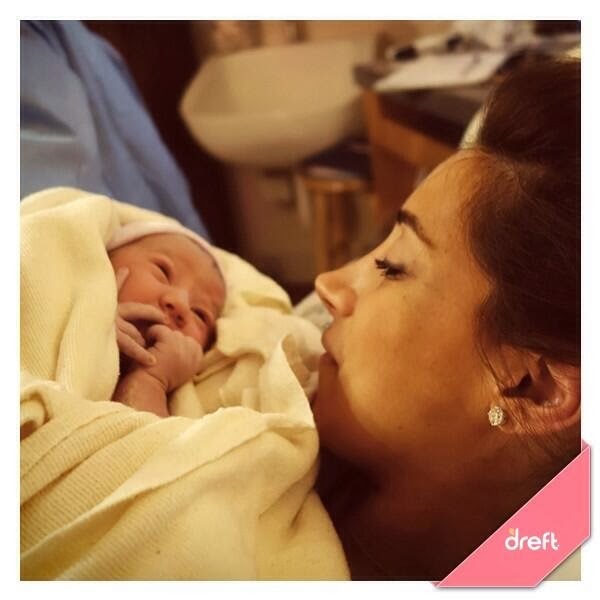 While I don't have much to add to the 'Danielle Jonas didn't actually give birth to Kevin Jonas' baby and the Jonas and Deleasa families were totally in on it (like when Danielle's sister Kathleen posted a pic...she had to know something!)' theory, I can provide you with a collection of resources to make your own decision. The fake baby story was all over the blind gossip sites. The baby's due date was cryptic and seemed to change as time progressed. The staff at FitPregnancy, per BlindGossip.com, were told that Danielle wasn't really pregnant and they had to play along. And nobody was allowed to help her get dressed and all that. See the cover photo here...and look for a seam on the belly. Rumor has it the baby is Filipino and Mexican. It's feasible based on the photos. Danielle and Kevin are...well, not. Also, the baby's birth was sponsored by a laundry detergent...if that doesn't say something about making this baby about money and publicity, I'm not sure what does. You decide for yourself, though. What do you think?